Think you're on to something ..... maybe FCA is keeping their powder dry- it's not a question of if gas prices go sky high but when. With GM, Ford and others dropping small cars completely, FIAT may well be the last man standing. I did my part- went into the studio yesterday to get my winter tires/wheels swapped out on my '13 500 Sport and came home with an '18 500 Abarth instead. Last edited by rustbucket; 04-06-2019 at 04:08 AM. At this point, any news is good news! Yes, I agree, SUV sales are driving the profit for FCA overall, plus the US market is not their priority for non-SUV cars, and FIAT is just one brand of many. Still, I'm amazed at overall how well the FIATs sold in the US are holding up and still facing a general lack of recognition. With the Chinese and French auto makers planning to also come to the US, the future of electric and ride-sharing, I hope FCA keeps all their options open for the long term future of the auto business. This is better quarterly news than what's happening over at Tesla apparently? Genesis sales aren't anything to write home about, but I don't see them going anywhere soon. Last edited by tvmaster; 04-09-2019 at 11:22 AM. 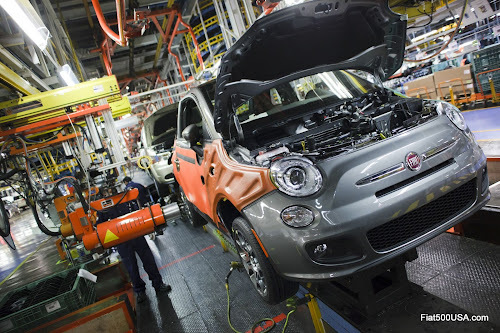 As a new member and new Fiat 500 owner -- like the car a lot -- I hate for my first post to be negative, but I seriously can't see FIAT lasting in the U.S. market past the end of the year. Where I live in Monterey County (home of Laguna Seca and the famous annual Car Week, so not without interested motorists) the one local dealer in Seaside just stopped selling FIATs and the other-nearest dealer in Gilroy, CA did so earlier this year. Now the nearest one (but for how long?) is 50 miles away in San Jose, CA. With morning commute traffic into Silicon Valley, that's a two-hour drive for any service appointment. Meantime, the Seaside dealer (which has no problem still selling Alfas and Maseratis alongside Dodges) refuses to do any FIAT warranty work. Sounds strange thought California was the land of electric Fiats. Still, I'm amazed at overall how well the FIATs sold in the US are holding up and still facing a general lack of recognition. People who weren't interested in owning a small car in 2012 won't care about positive reliability and running cost reports for small cars in 2019. Also the general car buying public is unbelievably poorly educated about cars. Go figure.